Olympics Archives – A Write Old Life. Why we will never see an end to racism in the UK. The other evening, whilst taking part in a late-night radio debate on the disgraceful scenes in Serbia, I was asked if I thought we would ever see an end to racism in the UK. My answer was an instant and resounding no. I then added that my thinking was based on the simple fact that we had never had a free and open debate on the issues of racism, immigration and multiculturalism in our country and more importantly, would never be allowed to have one. When asked why not, I made the point that in my opinion it was because the powers that be were afraid of the answers the vast majority of the population would provide. I was cut off almost instantly. As proof of my point, that’s as conclusive as it gets. Now let me quote something to you. It’s lengthy, but bare with it. Racism and multiculturalism have become two of the key issues affecting the way we live but by allowing the anti-racist and politically driven lobby groups to occupy the moral high ground, we [as a society] have become terrified of openly questioning anything relating to race for fear that we will be labelled as racist. A fear that is especially prevalent amongst the white Anglo-Saxon and Christian communities who lest we forget, actually form the majority of the population. As a consequence, they [the liberal-left and the anti-racist groups] have been allowed to get away with things that they really should not be allowed to get away with. We may laugh at the stupidity of banning piggy banks or replacing the seven dwarves with the seven gnomes but in their own way, each act of petty political correctness drives the wedge between the various ethnic groups ever deeper. More importantly, by suppressing a much needed and long overdue debate about the impact these issues have on us all, we as a nation are clearly storing up huge problems. If only because ignorance breeds fear and fear breeds resentment which could, potentially, play right into the hands of extreme political groups. It doesn’t take a genius to realise that the implications of that would stretch far wider than the turnstile or the playing field. However, racism is an issue which not only should be talked about it is one which we must talk about. Dialogue is after all, the only way we, as a society will ever understand things and we have to do that if we are ever to be rid of this most shameful of scourges. That will only happen when we are brave enough to allow everyone to have their say and more importantly, listen to what is being said. Tragically, even though we live in a supposedly free society, I cannot ever see that happening. Indeed, there is something to be said for the idea that if Enoch Powell achieved one thing with his infamous ‘Rivers of Blood’ speech, it was to suppress forever any chance of anyone having a free and open debate about either immigration or race in Britain. Ironically, the area of society that has done more than any other to combat racism in Britain is football. In recent weeks I have witnessed racist abuse being hurled by blacks, whites and Asians in shops, pubs and even at a motorway service station yet I can count on three fingers the number of racist incidents I have encountered inside a stadium in this country since I began writing in 1996 and two of those have been at non-league games. And I’m not alone. Even Thierry Henry has been quoted as saying that he has not heard any racist abuse inside a stadium since he came to play in this country yet still we routinely hear football being slaughtered. Why? Surely the fact that on the rare occasions an incident of football related racial abuse takes place here in England it is roundly and swiftly condemned by all parties is proof of how serious this issue has been taken. Similarly, the fury with which we react to abuse targeted at English players abroad must indicate how far we have come as well as how far others lag behind. I’m not saying that we should sit on our laurels, but we shouldn’t be so self critical either. As fans, we should be proud that for the most part, the only colour we care about is the colour of the shirt and we should celebrate the fact that people come from all over the world to play the game here free of the abuse and intimidation seen all too often in Spain, Italy, Germany and most of Eastern Europe. We should also be thrilled that so many black players represent us at international level but equally, we should enjoy a smug smile of satisfaction that these days we don’t even really notice. All we actually see is eleven proud Englishmen and that in itself says everything to me. That’s an extract from Kicking Off which I wrote in 2004 and to me, it’s sadly still as relevant now as it was back then. However, if there is a silver lining to the horrific events in Serbia this week it has been to highlight just how far we as a nation have come in the drive to defeat racism and as I wrote in the piece, no section of society has fought more valiantly than football. Although let’s be honest, as the John Terry affair has proven, whilst the fans continue to do their bit there is much to be said for the idea that football’s administration needs to up its game not least with an ounce to two of consistency. But there is still much work to be done and the great game can’t do everything, nor should it even try. For sure as we saw only too clearly this summer, sport can be a fantastic unifying force but if we are ever to see a resolution to the cancer of racism in our nation and legitimately sit upon the moral high ground where we so richly deserve to be, it can only happen if we, as individuals, can freely and honestly discuss all of the issues associated with it. The last I heard, this is a free country. So why can’t we? 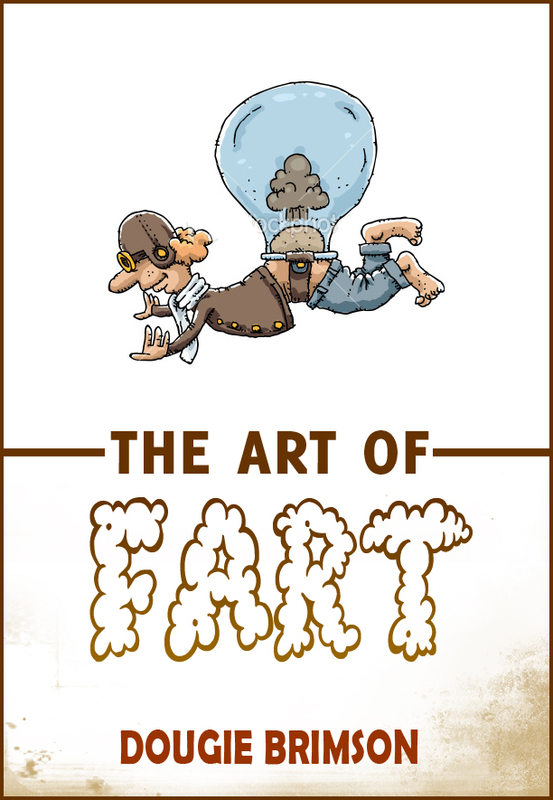 The Art of Fart – still a bargain! Just a quick note to let you know that Amazon have now price matched most of my titles with iTunes so that the bulk, including The Art of Fart, are now just 99p. The only exceptions are The Crew which is free and Top Dog and Billy’s Log which will set you back £1.99. So if you’re missing a book, now is as good a time as any!